A man was struck and killed by a LIRR train in Queens early Sunday morning, according to the MTA. 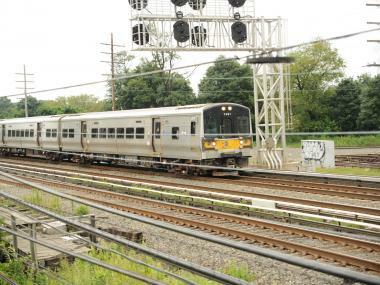 WOODSIDE — A man was struck and killed by a LIRR train in Queens early Sunday morning, according to the MTA. The victim, whose identity was not immediately released, was hit shortly before 5 a.m. east of the Woodside station by a train on the Port Washington line heading into Penn Station, an MTA spokesman said. He was declared dead at the scene. The MTA said it was not clear why the man was on the train tracks at the time. The incident delayed two trains and canceled three others on the Port Washington line Sunday, according to the MTA.